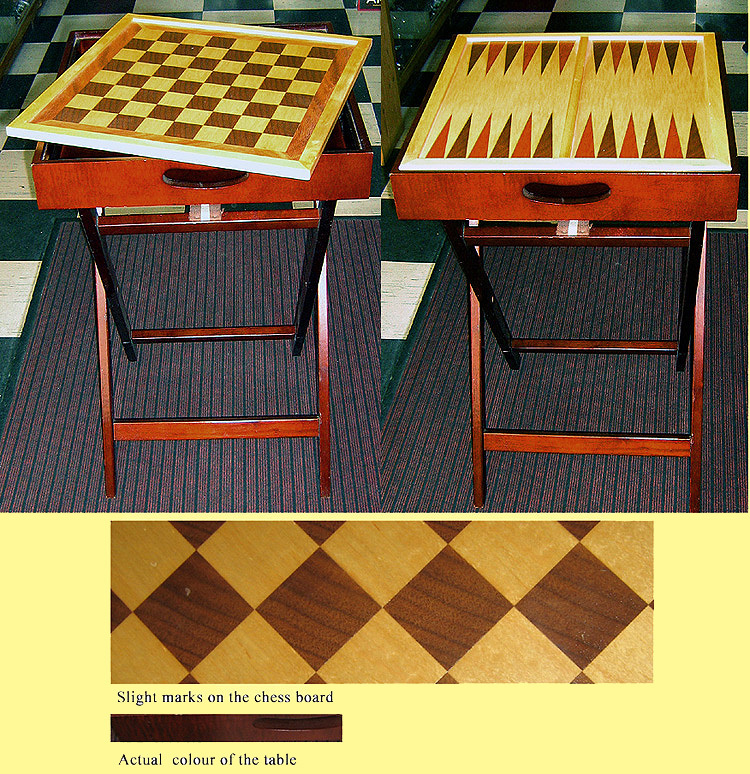 Chess table top has ample storage space for chess and backgammon pieces and has removable fold-up legs. Overall dimensions of top/storage compartment 18 1/2" x 18 1/2" x 3", height 30". Chess board, 13 3/4" x 13 3/4" and 1 3/4" squares. Backgammon on reverse with raised bar. Slightly shop soiled hence low price.